$20 off $100+ Bosch orders. Now through June 19, 2017, get $20 off select $100+ Bosch Tools orders from ACME Tools. 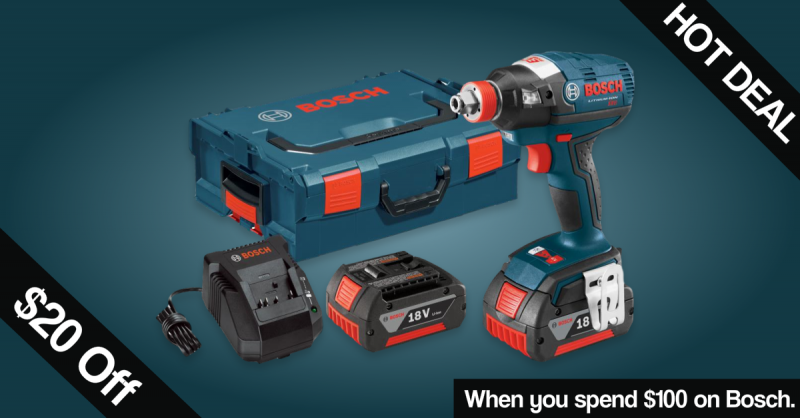 The deal is limited to select Bosch products. There are currently 174 tools and accessories that qualify for the discount. Most of the tools on sale are cordless tools and the accessories that go along with them. There are also Men's and Woman's Bosch Heated Jackets that are on sale. You can combine products to reach the $100 minimum. 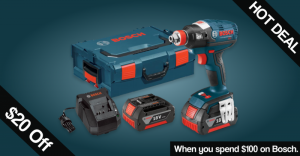 Unlike previous Bosch $20 off $100 offers, it appears as though this deal is not available through Amazon.